Pages: 293 + 21 page bonus story "The Vittra Attacks"
Switched is by USA Bestselling Author Amanda Hocking. Switched and the other two books in the Trylle series were already released a while back in ebook format. The books were self published by the author and then eventually joined with publisher St.Martins to make the books available in stores. 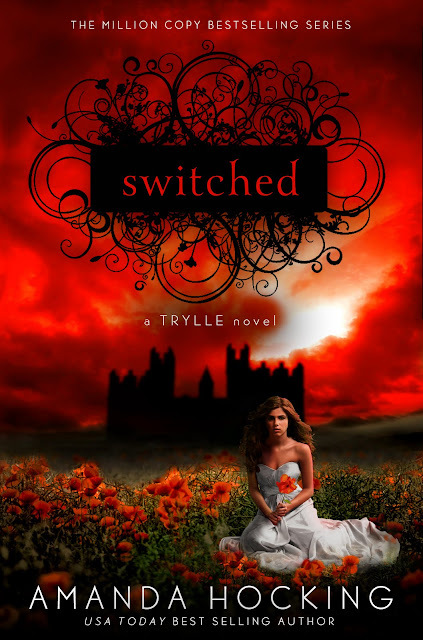 After watching the book trailer and reading the synopsis earlier in December, I really could not wait to read Switched- and let me tell you, it did not disappoint. If I weren't so busy at school with exams (ewww, I know) I would have spent a whole night curled up with this book. The romance in this book was great! Im a complete sucker for a doomed relationship and Switched definitely has one of those. The relationship between Wendy and Finn made me want to keep reading until I reached another part with the two of them in it. Unlike the past couple books I've been reading- I loveddddd the male character, Finn! Although frustrating at times, he is the perfect blend of mystery, sexiness, and good, that just won me over! Another great thing I personally liked about this book was how fast we get into the storyline. I was really surprised on how immediately we were tossed into the story- but I also really enjoyed it. I think the most major and interesting part about this book was how Amanda Hocking swayed away from the typical supernatural story lines. Vampires, faeries, and werewolves are just a few examples of some of the typical stories I read about. It was refreshing to be given another new "being" to add to my list- trolls! The one thing I can say I truly was disappointed with was how Wendy found out what she was too quickly. I really felt there needed to be more of a build up to her realization. It seemed to simple and not as shocking as it should have been. 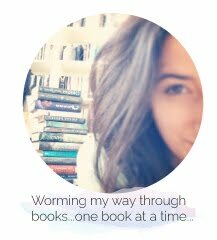 As some of you may already know from reading my other blog posts- I tend to immediately judge a book by its cover. I was drawn to Switched originally by its wonderful cover. I love how all the different shades of red and black work together and give such a deep contrast. The dress Wendy is wearing on the cover is also pretty as well, I'm assuming this is the dress Wendy was wearing at the ball! "Finn: I look at you because I can't look away. Wendy: That's kinda creepy. Finn: I'll work on being less creepy then." Overall Switched was a great, quick read. If your interested in romance, and a look into an untypical supernatural world, then this is the read for you! Switched receives my bookworm rating of 4.5/5 stars! The second book Torn is set to be released February 28, 2012 and the third book Ascend will be coming out April 24,2012. Be sure to watch for reviews on the next two books as they come out! Keep reading!